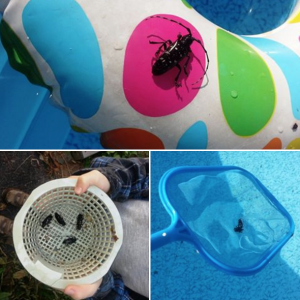 The New York State Department of Environmental Conservation (DEC) today announced that the annual Asian longhorned beetle (ALB) Swimming Pool Survey is underway, marking the program’s sixth summer of research work. DEC invites pool owners, now through August 30, to check their pool filters and help keep watch for these invasive beetles before they cause serious damage to the State’s forests and street trees. DEC and partners will also be hanging tags on host trees to encourage people to learn more about ALB and to demonstrate the potential impacts in neighborhoods and parks.